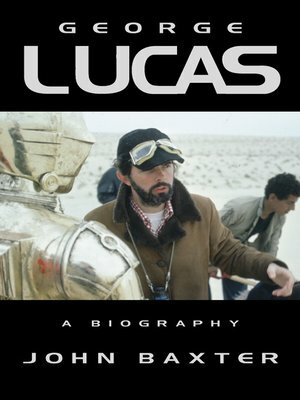 The first major biography (since 1983) of the great movie mogul George Lucas, whose marketing techniques have transformed the film business. His fourth Star Wars film, The Phantom Menace, released in 1999, was perhaps the most eagerly awaited cinematic event of all time. George Lucas is one of the most innovative bigtime players on the movie scene. His three Star Wars films and the trio featuring the action hero Indiana Jones (all six of which Lucas conceived, produced and co-wrote) comprise the most popular group of films ever made. To finance them, he masterminded a revolutionary redrawing of the financial agreements under which films were produced in Hollywood, snatching away control of funding, intellectual content and the distribution of profits from studios, and placing them in the hands of the film-makers themselves. Yet Lucas remains (like Stanley Kubrick, the subject of John Baxter’s recent biography) an enigma and a recluse. He has specially built the Skywalker Ranch a long way from Hollywood – a Victorian village community in a redwood forest where he and his friends can work in splendid isolation, free of studio pressure but with the highest technology.